Neoliberalism and a decade of austerity have left many parts of Britain looking very shabby. Only a return to the more dirigiste post-war economic model and a major program of public investment will reverse the decline. Unlike ‘Inside the Tent’ members of the ‘punditocracy,’ most of whom show no evidence of ever straying beyond London and the big metropolitan centers, I travel a lot around the UK. I have never seen the country in such bad shape. 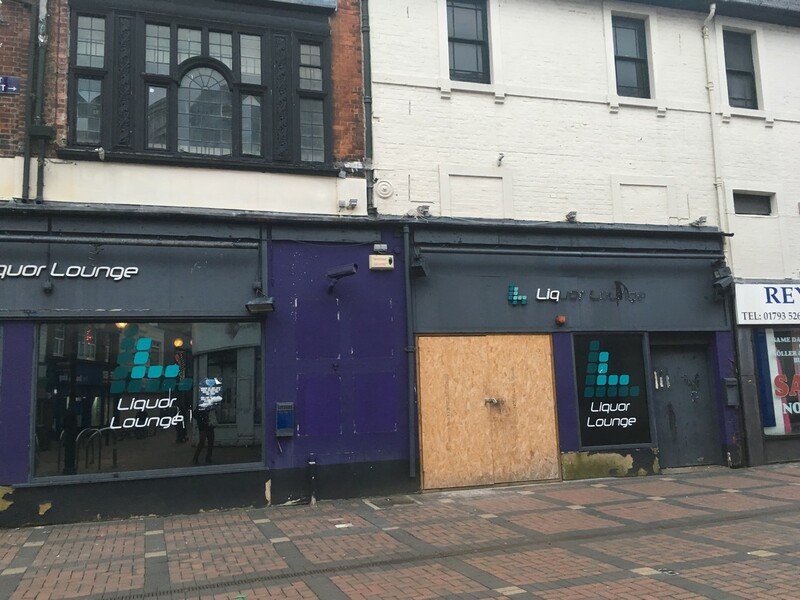 Once prosperous market towns are full of boarded-up shops and businesses. Seaside resorts that used to be thriving places have a distinct down-at-heel feel. The trains we travel on are overcrowded, overpriced and unreliable. Potholes lie un-repaired, causing great damage to cars. Trees and shrubs, which haven’t been cut back all year, overhang road signs. Libraries, post offices, bank branches, pubs and public toilets are closing in large numbers. 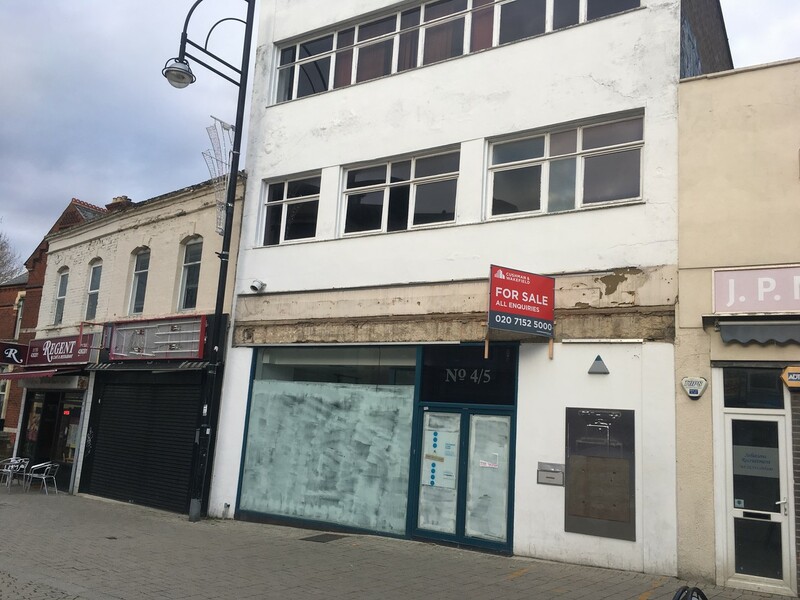 Our high streets, which used to be so vibrant, are dying in front of our eyes. To answer that question, we have to go back forty years. The era of what J.K. Galbraith called “private opulence and public squalor” really began in Britain in 1979 with the election of Margaret Thatcher as prime minister. She was determined to dismantle the post-war Keynesian economic model. While she went under a ‘Conservative’ label, Thatcher was actually a neo-liberal. Her economic reforms would change Britain, but not in a way genuine ‘conservatives’ would have liked. In the Thatcher years, de-industrialization was welcomed. There was to be no state-aid to manufacturers who hit difficulties because of the high pound, unlike the billions of pounds in bailouts which the banks received in 2008. During the 1980s, industrial towns in the north, Scotland, Wales and the Midlands took a big hit. They had their heart and soul knocked out of them and they’ve never really recovered to this day. The economy was Americanized and financialized. The gap between rich and poor which had reached historically low levels by the mid 1970s, began to rise sharply. As the people at the very top of the pyramid pulled away from the rest, their wealth, often boosted by the privatization of publicly-owned assets, a new underclass dependent on welfare payments emerged at the bottom. These trends were exacerbated by the austerity program of the last ten years with the burden of the £500 billion bank bailouts being imposed on ordinary people. Local authorities have seen the money they receive from central government slashed and instead of making savings at the top, most have preferred to cut frontline services, such as libraries and toilets. A couple of weeks ago I visited Swindon, in Wiltshire, in south-western England. It was once a famous railway town. Its engineering works were opened in 1843. But as the Thatcher government targeted British Rail Engineering Ltd, a part of the state-owned railway, for privatization, the works closed down in 1986. I worked in Swindon for a while in the early 1990s. I remember it was still quite prosperous then. But when I went back two weeks ago I was shocked to see just how run down it had become. It’s always been a very friendly place, but it’s clear that the last few years haven‘t treated it well. My wife and I parked in a council-owned multi-storey car park that looked as if it hadn’t had a coat of paint since the 1980s. You’ll find this low level of maintenance of municipal facilities across the UK now because of the cuts. In the pre-neoliberal era, we used to have park wardens in uniforms. Local authorities even operated self-service restaurants. There was a real pride in making your town look smart and having excellent facilities for local people and those who visited. The decline of the UK’s seaside resorts has been particularly striking. Last year I took my mother to Blackpool, in the north-west of England, to see the house where she was living when WWII began. We were both surprised to see so many hotels and guest houses boarded up along the South Shore. Surprised, too, to see some parts of town looking so poor. In 2013, a report by the Centre for Social Justice’, said that Blackpool and seaside resorts like it had become “dumping grounds for people facing problems such as unemployment, social exclusion and substance abuse.” Sophie McBain wrote about the decline of Blackpool here. While here is a picture feature on the same theme from the Daily Mail Scarborough, on the ‘opposite’ North Yorkshire coast, is as beautiful as Sorrento on a sunny day, but here again, facilities are being lost. In June this year, demolition work on the seafront Futurist Theatre, where the Beatles once played, began. The council said it was ‘not sustainable’. In Exmouth, in East Devon, the much-loved Elizabeth Hall, dating from the Victorian age, and which I visited in 2012, has been demolished to make way for a Premier Inn. It’s as if preserving the local heritage, doesn’t matter to those in charge. Note that the East Devon Council, which voted for the demolition of the historic hall, went under the name ‘Conservative’. Surely we could get them under the ‘Trades Description Act’? So much that was of great worth has been destroyed by the neoliberals in the last forty years. But we shouldn’t just give up. There are practical steps that a government which actually cared about Britain could take (along with local authorities and businesses), to undo some of the damage and get the country looking smart again. As I argued here, Labour leader Jeremy Corbyn’s ‘Build it in Britain’ plan, announced in July, is exactly what is needed to regenerate the national economy. The cuts in government funding to local authorities, which will be even worse next year must be reversed and councils obliged to spend the new money they receive not on high salaries for executive officers, but on front-line services that the public rely on. There must be no more closures of libraries, toilets and other council-run facilities, and wherever possible, those that have been shut down in recent years, need to be re-opened. Banks should be made to keep local branches open too. Almost 3,000 have shut in just three years which is an absolutely disgrace given the huge profits these financial institutions make. Public transport should be renationalized, with fares reduced by 50 percent across the board, and at the same time car-parking prices in town centers slashed to encourage more visitors. No new out-of-town retail parks should be sanctioned. 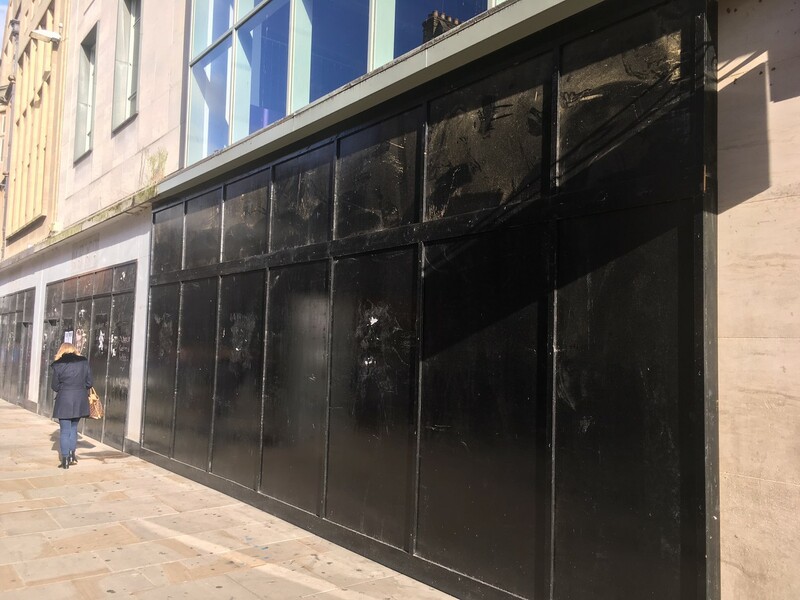 Rents and rates for town centers need to be significantly lowered with councils acting swiftly to make sure that there are no boarded-up outlets in our high streets. Britain’s seaside resorts need a special ’Marshall Plan’ style regeneration package. In 2017, the UK government said it would contribute £40m from 2019-21 to the so-called Coastal Communities Fund’, set up in 2012. But this is a drop in the ocean and has of course been negated by the overall impact of austerity on local communities. In the late 1970s, as I noted in my Guardian article ‘The great British seaside sell-off’, a benign state met almost all of British holidaymakers’ needs, from cheap transport to and from the resort, to hotels and extensive leisure facilities run by councils. Government and local authorities can’t do much about the weather, but they could do a lot more to encourage Britons to holiday at least once a year in their own country as the knock-on economic and social benefits would be immense. How about each household being given a £100 voucher to go towards a break at a UK seaside resort and heavily reduced fares on the new publicly-owned British Rail and National Bus Company to take them there? Politicians could lead by example and take their main summer holidays in Britain, as Labour’s Harold Wilson, who loved the Scilly Isles, used to do in the 1960s. Of course MPs need to go abroad and see how other countries operate, but first and foremost they need to be aware of the state of their own backyard and they can only get that if they travel around more, as the admirable Chris Williamson does with his Democracy Roadshow. Run-down Britain can be fixed, but it requires a major change in how we do things. If we carry on as we are at present, one shudders to think where we’ll be in another forty years. And when it comes to the Brexit debate, it’s worth remembering that all this decline has taken place during the time Britain has been a member of the European Union. Next Post: Is His Asia Pullout Trump’s Hail Mary?